Grammar is an important part of our daily lives. People are often judged by how well they communicate. 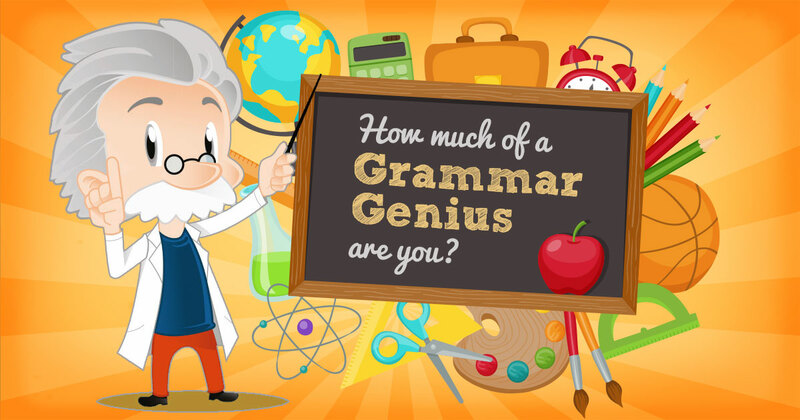 Many people do okay with English grammar, but few are actual grammar geniuses. If you daydreamed through English class in high school, you may have difficulty passing this quiz. But if you didn’t, you just might be a walking, talking grammar genius. Which is the correct phrase? "For all intents and purposes"
Can You Complete These Phrases That Everyone Should Know? Can You Name The Professions Of These 1960s TV Characters?